The Super 8 at Columbia/Clark Lane is located at the Jct of I-70 & Hwy 63, between Kansas City and St. Louis at exit 128A. The Super 8 at Columbia/Clark Lane is just minutes to the University of Missouri. Other attractions include many major Hospitals, Boone County Fairgrounds, Bass Pro, many golf courses & Parks. Also, we have 17 restaurants within walking distance. 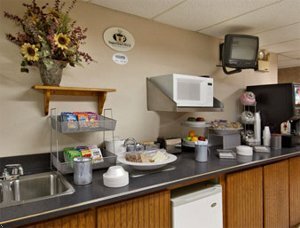 The Super 8 Columbia/Clark Lane offers Free High Speed Wireless Internet, Free Parking, RV/Truck/Bus Parking, and Superstart Breakfast.